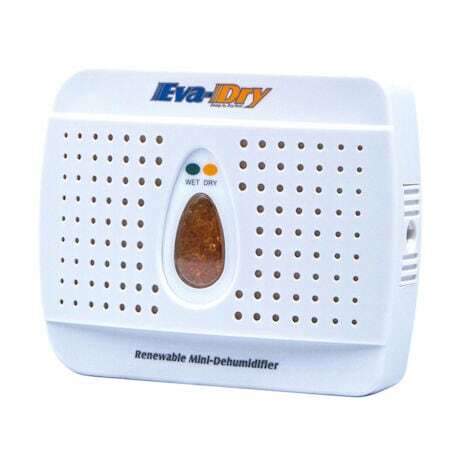 Eva-Dry® Dehumidifier can help eliminate or prevent mold and mildew in closets, pantries, wardrobes or other enclosed spaces. Non-toxic formula absorbs 4-6oz. of moisture within 333 cubic ft. of space, yet uses no electricity. When the dehumidifier becomes full, crystals change from blue to pink. Simply plug the EvaDry® into an outlet to refresh. 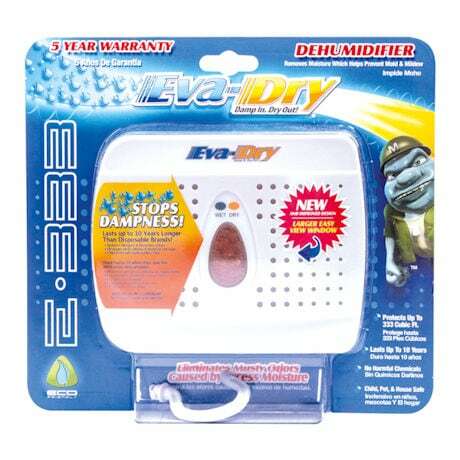 Eva-Dry® is safe for children and pets. 6¼"L x 1¼"W x 4¾"H.